The Yellow Chilli started franchising way back in 1998. Currently, the brand operates 26 outlets out of which 24 are franchise-run. 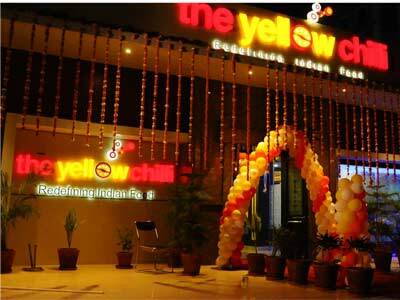 Mumbai: Celebrity chef Sanjeev Kapoor's The Yellow Chilli restaurant is ready to expand. The target is to start 25 more outlets in the country as well as abroad by next year. Franchise India, a pioneer in the franchise industry, is facilitating the expansion. “People who have a passion for food and have previous experience in the industry are welcome to be our franchise. We give them complete support in terms of marketing, product enhancement and upgradations from time to time,” Satyaki Mukherjee, Business Development Manager, The Yellow Chilli, said. The brand's mission is to be an integral part of the worldwide hospitality industry in providing food lovers a range of scrumptious dishes served impeccably in a high tech atmosphere at down-to-earth prices. “Franchise India has been instrumental in the expansion of several brands across various industries and categories and I am confident that the franchise opportunity withThe Yellow Chilli has a great value proposition, which our company can offer to our business buyers hungry for good opportunities,” said Sonya Chowdhry, director, Franchise India Brands Limited.